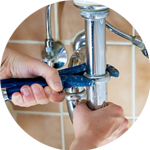 Looking for a plumber in Tufnell Park? The Handy Squad has got the whole area covered! 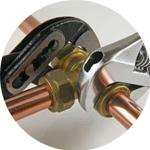 We’ve been solving plumbing issues since 2005 with precision and ease. 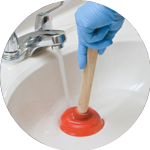 Whether you need a radiator replaced or a toilet unblocked our professional plumbing team will be right at your doorstep ready to give you a helping hand. 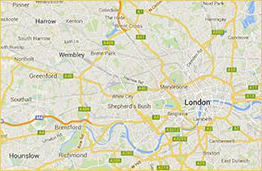 You can see our London plumbing team around London in their distinctive yellow scooters and vans. So, why not give your local Tufnell Park plumber a call? On the border of the London Borough of Islington and the London Borough of Camden, Tufnell Park has been known for its dairy farms, which kept London supplied with milk. Even though this city is largely residential, is also has a busy local shopping area, with cafés, restaurants, weekly food markets and a variety of local pubs. It is home to lovely open spaces such as Dartmouth Park and Whitehall Park and it’s only a short stroll to Hampstead Heath. Our team has got Tufnell Park covered, along with Archway, Upper Holloway and Whitehall Park. 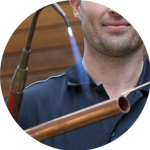 We also cover all the neighbourhood areas, so no matter where you are, you can rest assured that your plumbing problem can be dealt with.